Every Seven minutes a pedestrian is killed or injured in a crash. Seat Belts reduce serious crash-related injuries and deaths by about half! 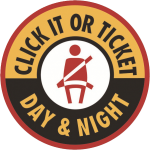 The PHA has developed the Protect Providence with One Click (PPOC) Campaign which aims to effectively educate and spread awareness in all of the PHA’s multicultural, vulnerable populations about important seatbelt safety practices as well as the Primary Seatbelt Law. Our goal is to increase and encourage seatbelt usage, compliance of the current seatbelt law thereby reducing Rhode Island’s vehicular injuries and fatalities. Did You Know? Seat Belt Safety Survey / ¿Sabías Usted? Did You Know this about Seat Belts?